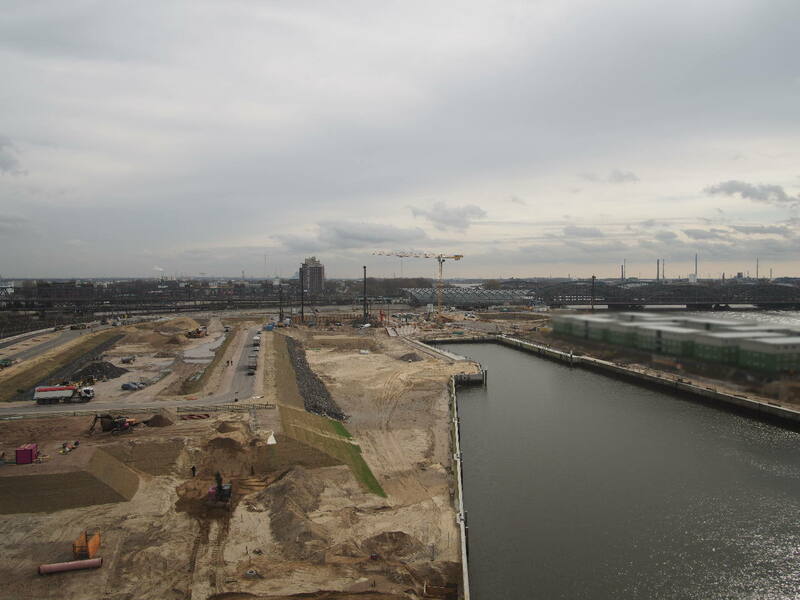 Once its construction is complete, HafenCity is expected to welcome up to 80,000 visitors a day. Many of them will be from Hamburg itself or from the wider Metropolitan Region of Hamburg, as well as tourists from all over Germany - and of course all over the world. In addition to residents and people working for HafenCity businesses, visitors are the third - and in number terms, the biggest - group of users of the new city district. Yet the special aspect of this tourist use is that HafenCity will offer no tourism attractions in the true sense of the word; no artificial tourist world separated from the urban social community. Instead, tourists will get to know a metropolitan district and its exciting everyday life - and will contribute to this urban atmosphere themselves. For HafenCity boasts no single location that is exclusively used by tourists - except perhaps the cruise ship terminal; many of the public places are frequented by residents, local employees and visitors alike. They are meeting points for the different groups of HafenCity users, bringing together people who, in other circumstances, might never have got to meet. In its present emergent form, HafenCity is extremely attractive to tourists: this kind of "construction site" tourism can be seen as a temporary phenomenon; many people see it as a unique opportunity to experience for themselves how a completely new part of town takes shape. The architecture that is unfolding is increasingly taking center stage, the further construction progresses. Both the general public and peer professionals are fascinated by the growing urban ensemble in the west of HafenCity; a great variety of walkabouts is on offer in the new part of town. The maritime identity of HafenCity - and the whole Hanseatic city - is also of great interest to many tourists. Visits to the new district are therefore frequently combined with an excursion to the Speicherstadt: this historic building ensemble is a crucial motivator for HafenCity tourism, as is the port. In the meantime, HafenCity offers many attractions of its own. Squares and promenades on the waterside invite people to stroll and take five, the Traditional Ship Harbor thrills with its historic watercraft, concepts related to the locality, such as the theme teahouse, Meßmer Momentum, reference the area’s past as a trading port with worldwide connections, and then there are so many shops, restaurants, cafes, bars and bistros. The number of places to eat, drink and shop has grown rapidly, and additional, spacious ground floor areas will be successively made available for similar uses throughout the new district. Along with projects which relate to the location, other innovative concepts can be made reality here that are uniquely new to Hamburg - or even to Germany. And of course international labels’ flagship stores or branches, as well as many boutiques, will be moving into HafenCity. Retailing and gastronomy are particularly concentrated in central Überseeequartier, where there was a conscious move to avoid it developing into a shopping mall. So the shopping experience takes place against an urban backdrop and under the open sky. Eventually Überseequartier with its eponymous rapid transit rail station and cultural and leisure opportunities is expected to host 40,000 visitors per day. The area of public urban space is also growing continuously. To protect against possible flooding, the neighborhoods of HafenCity have been built on artificially elevated plinths (known as "Warften") at eight meters above sea-level. Quaysides, where a strip along the edge up to 15 meters wide is often left free, will remain at the historic level of 4 to 5.5 meters above sea-level. Because this area is being landscaped as waterside promenades and squares, it has the effect of increasing the available area of urban space available - making it possible to absorb 80,000 visitors a day. Some events may attract many more people than that into this new part of town: the Cruise Days event or the arrivals in port of the vast cruise ship Queen Mary 2 drew hundreds of thousands. Big public appeal is also there in the shape of the International Maritime Museum Hamburg in Elbtorquartier, and also when the Science Center in Überseequartier and the Elbphilharmonie Concert Hall on Dalmannkai open their doors. The latter is already developing into a strong attraction because of its spectacular architecture and its role as a new landmark for Hamburg. These three "beacon" projects go to show that tourists to HafenCity are also interested in culture. Other museums and many smaller projects are already attracting visitors to the city district, including temporary event concepts and festivals. Then there are the many innovative institutions such as HafenCity University, the design center designxport, environment campaigner Greenpeace Deutschland, or Brücke, the ecumenical forum. These institutions make available the findings of their work to an interested public. They will often use the ground floors of their buildings for exhibitions, talks as well as other activities and events. It is clear then that this part of town is full of exciting opportunities which are not necessarily or exclusively conceived for visitors. Tourists experience HafenCity in a similar way to the district’s residents or its employees: tourism here means becoming involved in a special urban situation.